Branice McKenzie’s career includes everything from jazz to theater to prolific songwriting. Some of her credits include critically acclaimed performances at the Newport Jazz Festival, The Clifford Brown Jazz Festival and The Umbria Jazz Festival. On the theatrical stage she has created roles in “Shades Of Harlem”, “Sing Sister Sing” and “Jazz Alley”. 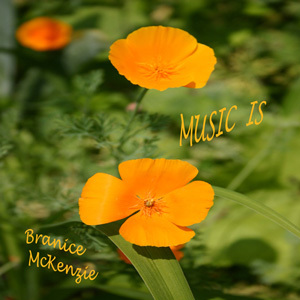 In her CD, “Music Is,” Branice graces us with fresh and uplifting inspirational songs that are sure to uplift, comfort, heal and inspire!